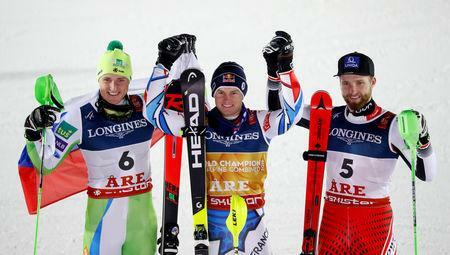 STOCKHOLM (Reuters) - Alexis Pinturault of France burst out of the pack to claim the gold in the men's combined event at the Alpine World Skiing Championships in Are on Monday as the Swedish weather once again made it tough for the competitors. 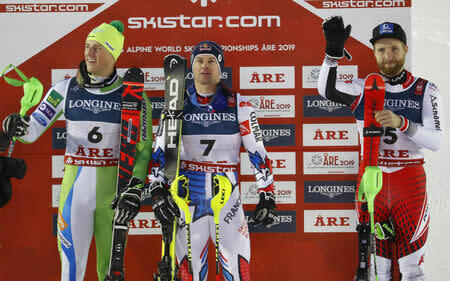 Though he was 0.12 of a second slower than Hadalin on the slalom leg, Pinturault's better time on the downhill set him up for victory. 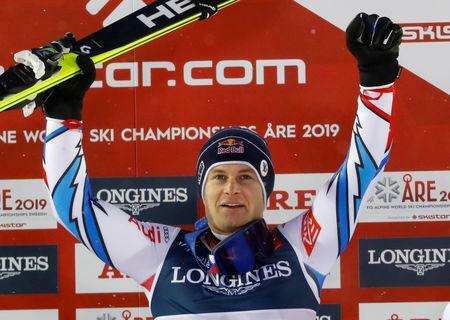 Having won team gold with France at the 2017 championships in St. Moritz, the gold medal in the combined is Pinturault's first individual world championship win, and he became the first Frenchman to win the event since Michel Vion in 1982. "It's a big, big moment for me, for my family, for my team mates and for my partners also, because we worked so much this year and it looks like the work is paying back now," an elated Pinturault said. "It was really difficult, the first guys had no chance with these tracks. It was a little bit soft and the track was not so good," he said, adding that he had learned some valuable lessons. "Now I know the hill and I'm looking forward to the technique races," he said.